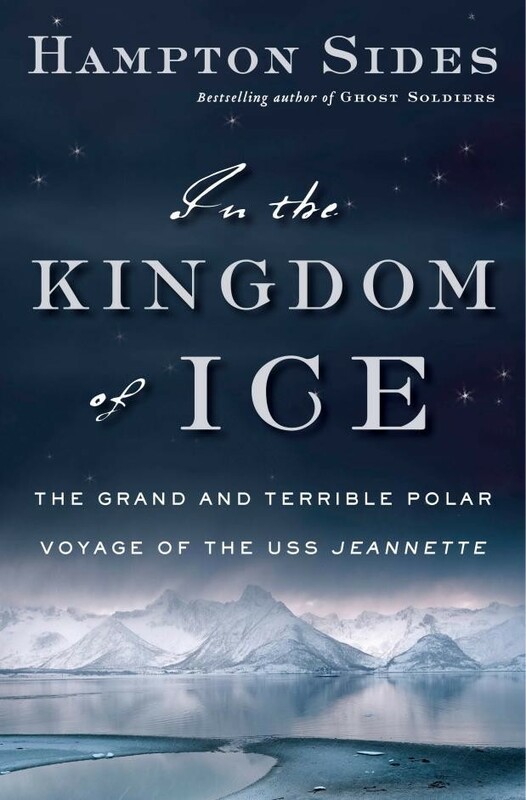 A hot summer day is the perfect time to read about this journey of polar exploration. 135 years ago, the North Pole was the great unknown. A popular theory was that a ring of ice surrounded an open polar sea. After a voyage to Greenland, George De Long became fascinated by the Arctic. Eccentric newspaper owner James Gordon Bennett agreed to fund a polar expedition for the U.S. Navy, and Lt. Commander De Long and a crew of 32 took the USS Jeannette through the Bering Sea between Alaska and Siberia. The Jeannette had been reinforced for the ice, and they took plenty of provisions, two scientists, and a doctor. Their goal was to explore Wrangel Island and the polar sea. They did discover three uncharted islands far north of Siberia, but were trapped in the ice, drifting for almost two years. Three other ships were sent in search, while the crew of Jeannette finally had to take to the ice, towing three boats in search of open water and then Siberia. Their adventures make for compelling reading. This book will be published in August, and will also be available as an audiobook.